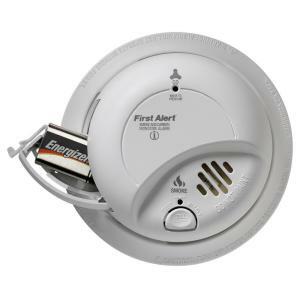 This is the summary of consumer reviews for First Alert CO400 Battery Powered Carbon Monoxide Alarm. The BoolPool rating for this product is Very Good, with 4.20 stars, and the price range is $14.00-$19.99. Opening the battery door revealed a thin plastic latching mechanism that fits into a slot over the battery compartment. If you open the door and try to close it without installing the batteries, you wiil break off the plastic tab on the inside of the battery door. Only problem is that battery door hatch doesn't close when batteries are installed - but this doesn't affect performance. I might try to leave the car running in the garage and leave the door open to test it!. Last, the battery door doesn't close securely. After examing the rattling noise, I found out that the battery door locking mechanism is broken. When I closed the door the part just snapped off. Installation was fairly simple, and it tests ok so far, but any problems this one goes out. Upon further examination it appears that'd the batteries been in place the latch would have functioned properly - and it did on subsequent units. Upon arrival I opened one to take a look. Device test succeed (Smoker; Muffler test area). Test off device simple and first time succeeds. New battery test succeed first time. I hope I never have to test put them to the test, but they're small and easy to install and seem to work well. When tested, they produce a loud beep. However, for testing purposes, please protect delicate hearing. Great features like test and low battery warning. When testing the product after installation, I'd advise a person to put earplugs into their ear canals. While these haven't had the ultimate test, and I hope they never do, they're simple to operate and install, and their size makes them convenient and unobtrusive. I didn't mount to a wall. 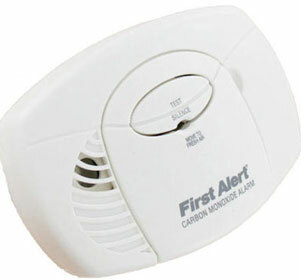 This First Alert CO 400 CO2 alarm is small and is easily placed on the wall with the 2 screws provided. Great to put on any wall or ceiling! Pros: loud noise, only needs 2 AA batteries (I haven't test it with CO). I liked the fact that you don't have to mount it on the wall. It's loud and small that it hides on your wall. It does, however, need to be mounted on a wall, not a ceiling, so we chose a spot over each bedroom door. I'd to unscrew that bracket from the wall, and re-drill two new holes for the screws that this thing latches onto. What stinks is that my old one had this plastic bracket bolted to the wall. Don't know how it works, but the home sold in 2 weeks. 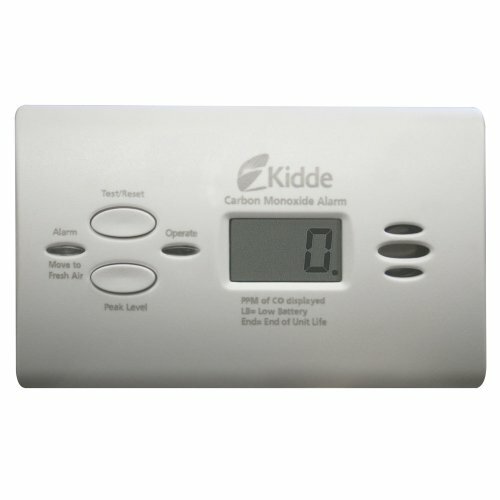 I sleep more peacefully knowing that my home is carbon monoxide free. 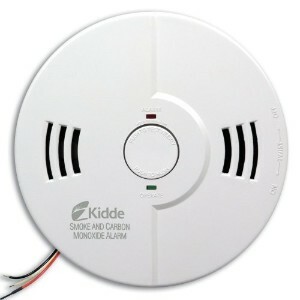 I've peace of mind now knowing I've a Carbon Monoxide Detector in the home. 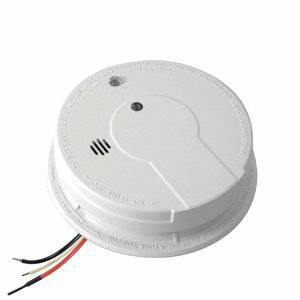 These are nice safety alarms for the home. Safety given by this device knowing you're protected is invaluable. 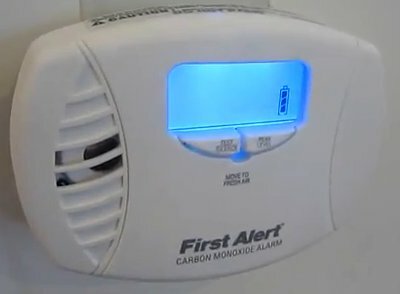 When it's came down to protection in our homes, aside froom burglary protection, we definitely need a carbon monoxide alarm in our homes. Calif law requires one detector on each level of your home. 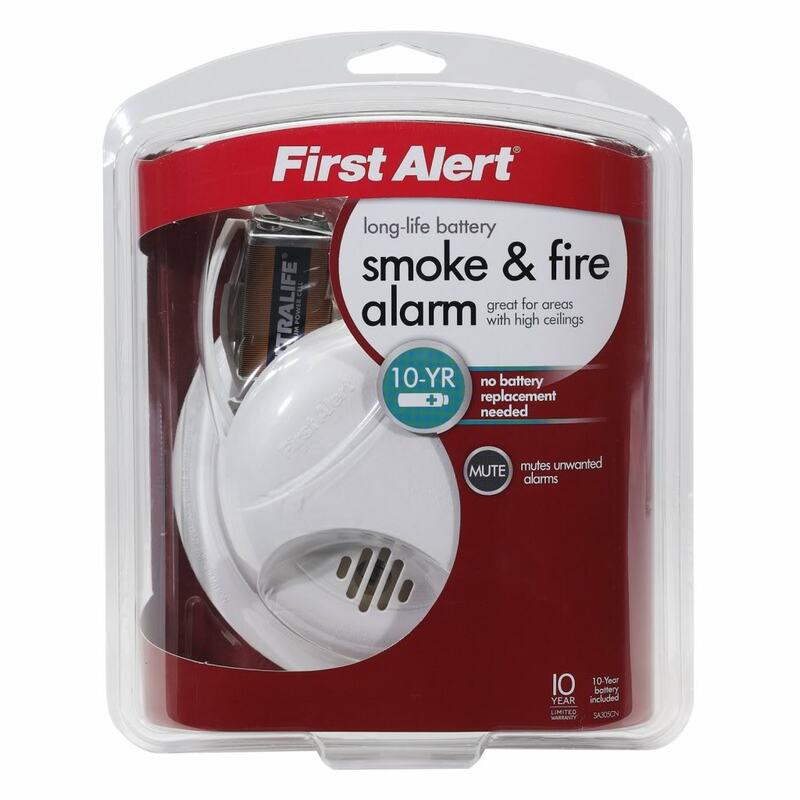 All it takes is a few AA batteries to install, and works nicely for anywhere in the home. As far as I know, they're working fine!. The price was right and they seem to work, but hopefully I'll never really know if they do work or not. Carbon Monoxied dectectors work great. This product works ok, no problems so far. Tested multiple joints and it worked flawlessly. Hopefully, I'll never have to know if it works!!! Of course you really don't know how this product will work until you've a problem. 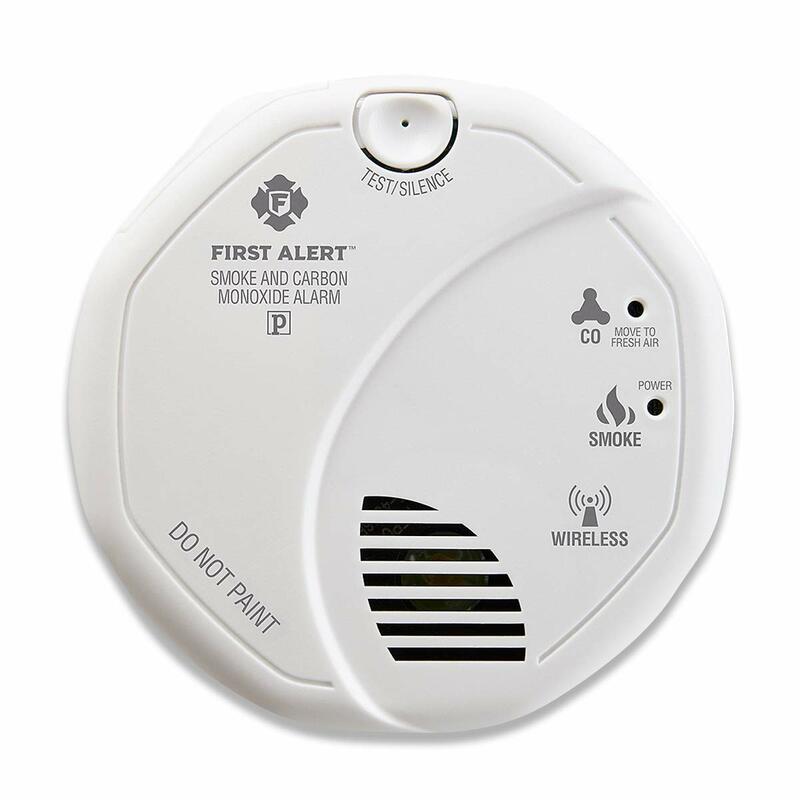 Came on time, works fine, bought 10 for rental units, passed inspection. Very easy installation & efficiency. Easy to install and easy to test. easy to use, install and test. These were easy to install. 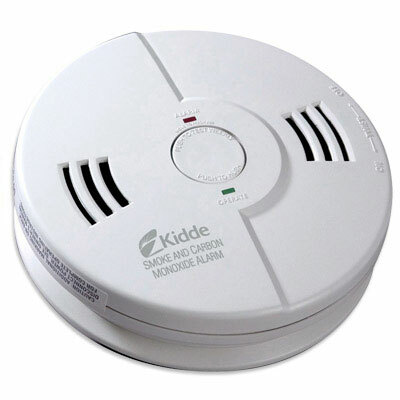 The detector is easy to install and test. Product was timely received and easy to install. Installation was easy and it's so easy to figure out. Easy to install, easy to maintain and very economical.